The problem with most 21st century assault rifles lies in their small caliber projectiles, which sharply limit the damage they can inflict upon the enemy. Theres been no end of complaints over the lack of wounding potential from the M-16 series rifle, in each and every single conflict that the US military has sent ground troops into. In an attempt to justify this 5.56mm varmint rifle, military apologists will cite the high recoil and heavy ammo weight that are inherent to larger calibers. In their zest to cover up for the establishments failures, some will even place the blame for substandard performance on the soldiers themselves, spewing useless tautologys like 'its not the caliber of the shot, but the caliber of the shooter that counts.' But the fact is, shot placement has nothing to do with wounding potential. It doesn't matter how well placed the shot is if the shot doesn't do the job. If shot placement really was what it was all about, we would all CCW 22 rimfire target pistols, and the armor branch would use 25mm chain guns instead of 120mm cannons on their tanks... In a firefight, your best shot placement may often not be good enough by itself, so you stack the deck with a larger caliber. In this post, we will go over one of the most important categorys determining a battle rifles effectiveness, its firepower. This is a rigorous category which includes barrier penetration, wounding profile, and suppressive effect. When the conclusions below are taken into consideration, it can be determined that in order for any new service rifles to significantly surpass their predecessors in performance, they need to be of 7.62mm caliber. They MUST NOT be chambered for the useless 5.56x45mm round, or an intermediate compromise cartridge like the Grendel or SPC. New recoil reduction technologys have become available which completely obviate the need for pea shooters like the M-16 or AK-74. There is no excuse not to take advantage of full power rifle ammunition. Heres an excellent quote from www.pattonhq.com on the m1 garand: ''The U.S. military rifle must be powerful. That means it must be able to kill an enemy soldier as far away as the rifleman can surely hit him. It must penetrate enemy helmets and body armor easily up to the same range. It should have enough punch to tear through the side of enemy trucks and kill personnel riding within, or to destroy the engine block. The bullets of the calibre .30 rifle are relatively small and light - fine for high speed, yet heavy enough and large enough in diameter to deliver a killing blow when they get to where they are going.'' The most common 7.62mm rounds in service today (the 7.62x39mm used by russia, and the 7.62x51mm used by NATO) are not as powerful as the 30-06 rounds slung from a full 24 inch barrel. Luckily, this can be more than made up for by the ultra tight grouping that comes courtesy of a nikonov mechanism, which fires a 3 round burst at a speed of 1800 rpm. According to one source, the bullets emerge so quickly that the third bullet is out of the barrel before the recoil from the first shot throws the gun noticeably off-axis, so the net effect is that all three shots hit in a very small group, thus increasing their chances of penetration. -Going by chapter 8 of the US armys FM 90-10-1, objects which provide protection from single shots of 5.56mm at distances less than 50 meters are; One thickness of sandbags, 2" unreinforced concrete wall, 55 gallon drum with water or sand, small ammo can filled with sand, a plate glass windowpane at a 45° angle (glass fragments may be thrown behind the glass), and a car body (round will penetrate but normally not exit). -Meanwhile, single shots from 7.62mm rounds at similiar distances (relevant because the 7.62mm's optimal penetration also occurs at 200 meters) can pierce all of the materials previously mentioned, except for the 55 gallon drum. It is also unable to pierce 8" of Cinder Block, 5" of dry sand, or a 13" pine board. -So with ONE exception (the 55 gallon drum filled with water or sand), the M80 7.62mm ball round can pierce all of the barriers that will stop the M885 5.56mm AP round. The 7.62mm rounds penetration was also less affected by short ranges to the target (5.56mm rounds need time to stabilise their flight path: If they don't get that time, their barrier penetration is heavily compromised), and the penetration increase that came from using AP rounds was greater with the 7.62mm than the 5.56mm. Note this is for a single rounds: A full auto weapon of any caliber is like a jack hammer, in that the burst will wear away at walls. With enough time and ammo, a 7.62mm or even a 5.56mm will eat through most any amount of concrete. AP bullets are supposed to do a little better but more likely to ricochet. Rebar will help a lot against any caliber because they have to break concrete and then cut rebar. -According to the royal united services institute, suppression is the effect of small arms and other weapons systems which temporarily prevent the enemy firing its weapons or moving in the open. In simple terms, it makes them keep their heads down, and loose fire superiority. Suppression is critically important in a fire fight. In the offence it allows the attacker to move forward, to find gaps and weak points, and exploit them. In the defence it prevents the enemy moving forward and firing, and thereby sets him up for counterattacks. In both cases it pins the enemy down for incapacitation (or destruction) by other weapons. The key to winning a fire fight, then, is by securing fire superiority. Whoever has it wins because they have outgunned the enemy. Fire superiority does not necessarily entail a higher volume of fire. Rather, it means that one side has forced the other side to seek cover, so in effect, fire superiority is fire intimidation. This can be accomplished through a high volume of fire, more accurate fire, or the use of 'shock and awe' weapons. 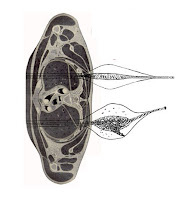 -Both experimental and practical testing has revealed that the suppressive effect of a small-arms bullet is directly proportional to the loudness of the sonic bang it generates, which is in turn directly proportional to its size. 5.56 mm bullets have only half the suppressive radius of 7.62 mm fire, and this is exacerbated by the fact that the little bullets are more affected by wind drift and therefore less likely to get close to the target at long range. Another factor that must be taken into account is the weapons cone of fire: When several shots are fired in a burst from an automatic weapon, each round takes a slightly different trajectory. The dispersion pattern these rounds take on their way to the target is called the cone of fire. This is influenced mainly by vibrations from the weapons recoil, and variations in the ammunition. Wind drag and other atmospheric conditions also play a role. Why does this matter? Back in 1944, a study carried out by the army operational research group concluded that projectiles must not only pass within a certain proximity of a human combatant, but also arrive in a certain volume before he will feel threatened enough to take cover. Threfore a rifles effective range (against point targets) is determined by its MOA accuracy, which for the M16 rifle is 550 meters. -This is a rather lengthy and complex subject, but its basic concern is maximising the injury potential of a bullet once it makes contact. During its passage through the enemy combatant, the bullet must cut as wide a swath as possible, so that the target will be down and out of the fight afterwards. Such damage stems from two primary mechanism: A permanent cavity, and a temporary cavity. The permanent cavity is the volume of flesh the penetrator comes into contact with and crushs, leaving a permanent hole in its wake. The temporary cavity is the volume of flesh which flexes and stretchs as a result of the pressure wave transferred by the bullet to the bodily tissues. All organs are susceptible to damage from a permanent cavitation, while only some are vulnerable to temporary cavitation. Organs which are of low density and high elasticity (such as the lungs, an empty bladder or stomach, etc) will be unfazed by its effects. Organs like the brain or liver, however, will rupture spectacularly when subjected to such a pressure wave, with devastating consequences for the victim. -Although permanent cavitation is directly dependant on the size of the penetrator, other factors such as its flight path through the targets body have critical importance. When entering a dense medium, bullets have a tendency to destabilise and flip over, so that their base (rather than their nose) points forward. This has negative consequences for the gunshot victim. The wounding profile will be significantly enlarged, as will the number of structures that the bullet comes into contact with (and destroys). Not all bullets act the same when travelling through bodily tissues, though. Some are more stable than others, and do not experience yaw until exiting the body. Others transition between their stability points (from the nose to the base) very quickly, minimising their damage potential. What is desired, then, is a bullet which yaws almost immediately after entering a targets body, and maintains that yaw for as long as possible, inflicting the maximum amount of damage. -Temporary cavitation, on the other hand, is more dependant on the penetrators hydrodynamic profile. For reference, while an increase in velocity will increase the temporary cavity size, it will not increase the permanent cavity size. The stretch marks that TC produces in ballistic gelatin, though visually engaging, can be resisted by those bodily tissues which are more elastic than gelatin. In most cases, temporary cavitation is unlikely to cause anything more than some internal bruising. Speculative sources state that nerve bundles can be damaged by temporary cavitation, creating a stun effect, but this has not been confirmed. -When all is said and done, permanent cavitation is the most reliable way of inflicting damage on a target, regardless of what the targets particular composition may be. Temporary cavitation is unreliable and finicky, merely a beneficial side effect at best. As it pertains to wounding profiles, a larger bullet can thus be seen as not just deadlier, but more dependable, too. Unfortunately, bullet size is a means to an end, not an end in itself: It is a base that must be built upon with proper bullet design, taking into account things like sectional density, center of gravity, hydrodynamics, etc. The job of procurement officers, then, is to get a 7.62 mm caliber weapon into service: After that, the concern of how its projectile behave inside dense mediums will be tackled by ballisticians. -Now, to determine which round has superior ballistic performance: The 7.62mm, or the 5.56mm. Looking at the numbers, the 5.56x45mm nato rounds can be seen to trade momentum (stopping power) for kinetic energy (shock). And unfortunately, from a mathematical perspective, kinetic energy is always overemphasized. Recall that momentum is mass x velocity, but kinetic energy is mass x velocity squared. If the velocity of an object is tripled, then KE is more than qaudrupled, but momentum is only tripled. This reality escapes most people. A quick word on terminal effectiveness: Military ammunition cannot legally take advantage of the expanding bullets used commercially for hunting, which can inflict devastating injuries. -So military bullets rely on a ‘yawing effect’ to maximise their effectiveness. ‘Yawing’ describes what happens when a pointed bullet enters a dense medium like a human body: It will usually become unstable (turning sideways) before travelling base-first through the target. This ‘bullet upset’ greatly magnifies the size of a wound, making it more likely that the target will be rapidly incapacitated. However, the effect is unreliable. If a bullet yaws rapidly after impact it can inflict severe wounds; but if it fails to yaw before the bullet exits the body, the resulting small hole may only have a limited effect unless a vital organ is hit. In the case of the 5.56mm rounds, some soldiers have likened it to shooting needles. Several hits may then be necessary to neutralise an enemy; There have even been cases where enemy combatants have got back up after being shot multiple times. In these circumstances, the bigger the bullet, the better. -This is true for several reasons. First and foremost is that, whereas the 5.56x45mm is largely dependent upon high velocity in order to wound effectively, the 7.62x51mms wounding ability declines at a very steady and predictable rate with increased distance, making it more dependable. The second is that a large slow projectile will crush (permanent cavity) a large amount of tissue, whereas a small fast missile with the same kinetic energy will stretch more tissue (temporary cavity) but crush little: Permanent cavitation should always be desired over temporary cavitation. The third is that a heavy bullet is far less likely to be deflected: There is no point in having good shot placement if the bullet takes a random path as soon as it encounters a rib or pocket of change. In this area, an increase in bullet weight is more beneficial than one of velocity. After all, pushing a bullet through several feet of meat requires a sustained pressure, and a heavy round has more inertia. A heavier bullet will also have (proportionately) more of its original energy by the time it reaches the target. -Examinations on the terminal performance of both the 5.56x45mm M855 rounds and the 7.62x51mm M80 rounds conclude that neither is likely to experience ANY yaw in an average human body. Regardless, the insurmountable advantage that a larger bullet retains is wisely noted by the FBI academy firearms training unit: "Given adequate penetration, a larger diameter bullet will have an edge in wounding effectiveness. It will damage a blood vessel the smaller projectile barely misses. The larger permanent cavity will lead to more tissue disruption and faster blood loss. Although such an edge clearly exists, its significance cannot be quantified." Experience has shown that while the 5.56mm is a good killer, it is not a good stopper. One properly placed shot from the 5.56mm is just as likely to kill someone as any other major caliber rifle, but it will do so slower, and leave the subject more functional while they are dying. This is unnacceptable in an infantry weapon. It has poor barrier penetration, poor suppressive effect, and to make matters worse, the 5.56mm round suffers from low inertia, meaning that its flight path can be disrupted by vegetation on the way to its target. The same property that lets a light bullet be accelerated more readily also means that it can be more easily slowed by the air it is passing through, and knocked off course by foliage, cross winds, etc. So what then are the consequences of adopting a larger caliber like the 7.62x51mm nato? There are a couple that come to mind. There is the heavier recoil. A 7.62mm round will have twice as much kick as a 5.56mm round. This can be compensated by introducing the balanced automatic recoil system, or a nikonev mechanism, into the rifles gas operating system. Then there is the fact that the cartridge is twice as heavy, so fewer rounds can be carried for a given weight, although the force of that argument is much reduced if it is necessary to fire more 5.56 mm rounds to achieve the same effect. For some background information, weapons that use BARS have less recoil in sustained firing because it eliminates 3 of the 4 stages of recoil operating on a firearm. The only recoil felt is the force operating on the barrel itself and not the inertia of the bolt group moving backward, hitting the back of the rifle, and then moving forward again; those stages of kickback are eliminated. It achieves this through the use of a recoil-reducing countermass mechanism with two operating rods that move in opposite directions, thereby providing "balance." This would be a great advantage when using fully automatic fire to rapidly clear out confined spaces such as bunkers, trenches, and rooms. "(...)shot placement has nothing to do with wounding potential. It doesn't matter how well placed the shot is if the shot doesn't do the job. If shot placement really was what it was all about, we would all CCW 22 rimfire target pistols. The armor branch would use 25mm chain guns instead of 120mm cannons on their tanks..."
You got it the wrong way around. Terminal ballistics don't matter if you have great shot placement, it matters when you don't have it. The tank gun example is off because that's a lot about penetration of a hard shell. For the same reason .22LR is useless even if fired in great quantity; enemies could simply wear full body soft armour to defeat it. That's too harsh. The small arms calibre discussion is about optimisation, not about works and works not. "completely obviate the need for small calibre"
Small calibre means light bullet means light cartridge (propellant weights almost nothing) means many cartridges for a given weight and volume. This won't change, ever. "5.56mm's optimal penetration occurs at 200 meters"
I've seen claims about it being 100 m because of vibration issues or such, but it's certainly not 200 m. The loss of kinetic energy after 200 m is horrible - 30% with 20" barrel. 'Terminal ballistics don't matter if you have great shot placement.' Perhaps in extreme cases where you are able to obtain a hit on the CNS, but that is a rarity in firefights. Strikes on the torso area should be taken as the baseline value. 'The tank gun example is off because that's a lot about penetration of a hard shell.' True, true. The ballistics of armor penetration and wound profile are very different. It was perhaps an inept comparison to make. 'That's too harsh. The small arms calibre discussion is about optimisation, not about works and works not.' 5.56mm is an inferior cartridge in every sense imaginable: A varmint round improperly put into service as a man killer. If optimisation is what its about, then 5.56mm does a piss poor job of it. 'Small calibre means light bullet means light cartridge (propellant weights almost nothing) means many cartridges for a given weight and volume.' Yes, but the force of that argument is much reduced if it takes more rounds to do the same job as a lesser number of larger bullets, which was conclusively proven to be the case in three key categorys. The weight penalty will ultimately end up being the same in either case, no matter what caliber you opt for. "The weight penalty will ultimately end up being the same in either case, no matter what caliber you opt for." You should look at the data prior to making such a statement. A 7.62NATO bullet is more than twice as heavy as a 5.56NATO bullet. There's no real debate about whether two 5.56 mm hits are more dangerous than one 7.62NATO hit. 5.56 wins in such a comparison. This is the same with 5.45, and it's probably not random that the new AK-12 (also in 5.45 and 5.56) has a very small dispersion of its three-rounds burst. More effect with more hits at medium range, more probability of hit at long range ("long" for an AK). 'You should look at the data prior to making such a statement.' I have, sven. Thats what this whole post was about. You seemed to have skipped over several key portions of my analysis. Important studys are cited which support my conclusions. 'There's no real debate about whether two 5.56 mm hits are more dangerous than one 7.62NATO hit.' That statement is invalid upon considering the 5.56mms inferior barrier penetration and suppressive effect. And despite what you said earlier, great shot placement with the 5.56mm is no guarantee of success! Lighter bullets are far more likely to be deflected (and take a random path) as soon as it encounters a rib or pocket of change. Fruthermore, with the introduction of balanced recoil system, or niknonev mechanism, next generation assault rifles will be able to fire full powered ammunition with much more stability and control than was ever previously possible. Soldiers equipped with them will not need to carry very many small rounds to compensate for an inferior ballistic performance, contrary to todays poor grunt. Barrier penetration is of little value if a standard 7.62NATO loadout is 120 rds. That was standard in my time with the Bundeswehr; the weight of cartridges and magazines as well as the bulky pouches reduced the G3 to a self-loading rifle with full auto (used for bursts) as tactical options only within hand grenade range. More ammo was impractical (mag in weapon, 2 bulky pouches with 2 magazines each and one emergency magazine in buttpack). German infantrymen were supposed to be more than mere riflemen, after all. they had to carry AT munitions, ammo for machinegun, hand grenades, NCO stuff such as binos etc. 7.62NATO was hurting us. We weren't much better than our grandfathers with K98 because we couldn't carry the ammo to really exploit the automatic mechanism. We could run out of ammo in less than 3 minutes. Many NCOs preferred UZIs during exercises. Usual hard body armour stops 7.62NATO just as well as 5.56NATO, and the probability of hitting some unprotected area is greater with two 5.56 than with one 7.62. Superior barrier penetration (wood, masonry mostly) is nice if you know there's someone behind. Too bad 7.62NATO is too heavy for mere guess shots. Did I mention that the stronger cartridge also yields a heavier gun? The difference is one or two pounds. This has a lot of importance in a soldier loadout that shouldn't go beyond about 25 kg including clothing, helmet, vest, emergency rations, mask and all the other stuff. I don't see why you trust into recoil technology improvements. Current rifles are already quite find in regard to hit probability; it's the shooter who messes things up. No recoil mechanism will change that unless it's about quick bursts, and 7.62NATO is hardly a good choice for bursts at any but short range. Finally, you're got a strange idea of what "invalid" means. The 5.56 vs. 7.62 debate is tricky and it's all about optimisation, not black and white. To find an exception to an observation doesn't turn the observation invalid, it merely restricts its area of validity. 'Barrier penetration is of little value if a standard 7.62NATO loadout is 120 rds.' With 7.62mm, we should be able to maintain the nominal seven mags of ammo with a sane reorganisation of packs and webbing gear. The angelfire article, 45lb basic combat load, illuminates a sensible way forward. 'We could run out of ammo in less than 3 minutes.' Thats a matter of fire dicipline and training (though some exceptional circumstances can necesitate such ammunition expenditures). Proper training with live fire intelligent targets can enable riflemen to get much more mileage out of existing ammo loadouts. 'Usual hard body armour stops 7.62NATO just as well as 5.56NATO.' And how much does an NIJ level 4 vest weight? Much more than a fragmentation protection rig. And as you yourself have pointed out in the past, shrapnel is responsible for far more casualtys than bullets. 'No recoil mechanism will change that unless it's about quick bursts.' Yes, thats what I was hinting at. The M-16 rifles superior contrallability during fully automatic fire was one of the reasons for its adoption. 'The 5.56 vs. 7.62 debate is tricky and it's all about optimisation, not black and white.' I couldn't disagree more. The 5.56mm provides no advantage over the 7.62mm, other than more ammo quantity and greater contrallability, two things which are obviated with a bit of work. But all in all, this has been a fun discussion, sven. You have an interesting viewpoint on the subect of small arms, although in my opinion it is an obsolescent one. I'd be delighted to get your take on my modern army vs WW2 army post (I had gotten some complaints that I had ignored the impact of satellite imagery and GPS). The inclusion of NBC weapons were factored out there because it was a comparison of conventional war fighting prowess. "The 5.56mm provides no advantage over the 7.62mm, other than more ammo quantity and greater contrallability ..."
It does, and you even forgot one I already mentioned. A comparison of modern and WW2 forces can be either anecdotal or a multi-volume book. I don't think it's a good topic for this format. 'less weapon weight.' One kilogram of extra mass should not be too much of a drawback, especially considering all the gains in performance. If its really that much of a concern, we can always save weight on the packs and whatnot (which is something we should be doing anyway, as responsible adults). 'superior hard target penetration beyond 600 m. slightly flatter trajectory out to 250 m.' Sven, you are using arguments in favour of retaining the 5.56mm that you yourself would reject in other contexts! Did you not say (on think defense) that combat past 200 meters in largely indecisive? 'less fatigue of shooter after firing a lot (huge impact on accuracy).' But this shouldn't be a problem when recoil mitigating technologys are integrated into the rifles gas operating system. There is no excuse not to take advantage of modern mechanics. This goes for the BARS, as well as super engines like the revtech X4v2 (which should be the powerplant of choice for next generation AFVs). And as for the noise complaint, no offense, but it sounds like you are grasping at straws so as to scrape together a convincing rebuttal. I love your work, guy, but I think we will have to agree to disagree on this matter. Though upon re-examination, you are right in saying that the 5.56mm is not completely useless... It can still be chambered in carbines, machine pistols, and LMGs. Look, I don't argue for 5.56, I point out it's not inferior in all characteristics. This is a different mind-set than writing a blog post on your own, trying to come to a conclusion instead of only providing arguments. The calibre issue is a question of optimisation, not of rejection of an all-out failure. Besides, I don't think that calibre is very important anyway. Important is to shape the firefight. You don't want to be on the receiving end of a surprise salvo no matter what calibre. I also believe that 7.62NATO has huge problems as an infantry standard calibre. The bullets are too heavy. More than 20% weight savings potential on rifle and its ammo in huge in comparison to the weight savings potential of other soldier equipment. The weight budget is too slim for luxury. The noise complaint is not that much of a lightweight. About ten shots 7.62NATO from behind, left and right within 1 m and I developed the urge to protect my ears, get away and monitor for permanent tinnitus. It's a major issue indoors. Soldiers distracted by their ears or temporarily unable to understand orders or radio comm are substantially impaired. 5.56NATO is much more flimsy in regard to noise, which is a good thing. The suppressive effect stems from the sonic crack anyway.